“We want to see more women as the face of science.” – Norah O’Donnell, co-host of CBS this morning. 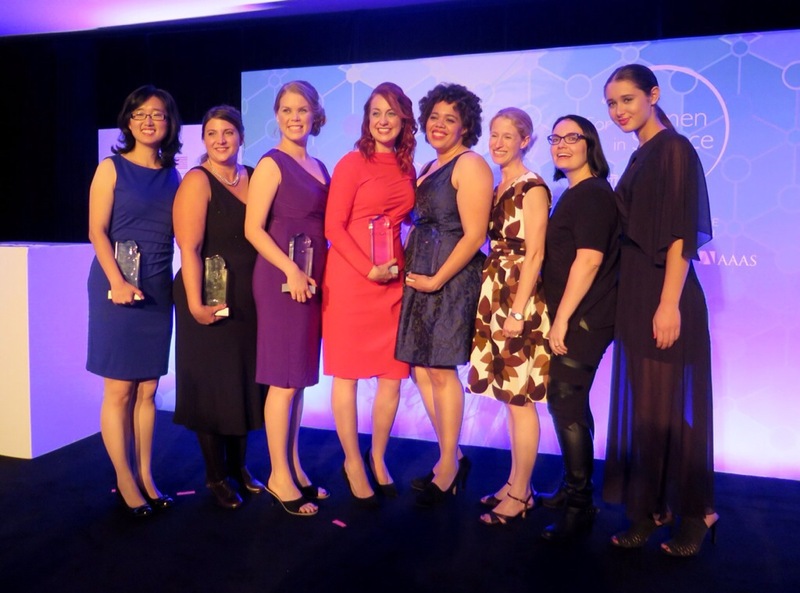 L’Oreal continues to strive to break the gender barrier facing STEM today. Only 26% of individuals in STEM are women. The L’Oreal fellowship program is in its 12th year and focuses not only on rewarding women conducting innovative, cutting-edge research, but also aims to inspire the next generation of female scientists through outreach opportunities. I am beyond honored to have attended last night’s inspiring ceremony. I was able to reunite with the friendly faces I met last year as well as meet the new fellows and attendees. One of the 2015 fellows, Sarah Ballard, hosts an empowering podcast ( which I could not stop listening to on the train!) for women in STEM! I will be interviewing Sarah for scistrut.com, so stay tuned! For now, check out the 2015 video on the L’Oreal USA website! I loved wearing the Rebecca Minkoff Collins dress from the fall 2015 runway; a true representation of scistrut.com!